Daily Debate: What Zelda Character Would You Like to See as an Assist Trophy in Super Smash Bros. Ultimate? Wow! Now that’s how you reveal a game! Super Smash Bros. Ultimate made a huge splash at E3 with a plethora of Zelda-related content including characters, stages, items, and assist trophies. Assist Trophies are especially cool because they allow lesser known characters in different franchises to make an appearance in Nintendo’s megaton fighting franchise. It’s already been confirmed that Midna will be returning as an assist trophy, but there are plenty of fantastic characters who could become used as assist trophies in the next Super Smash Bros. game. 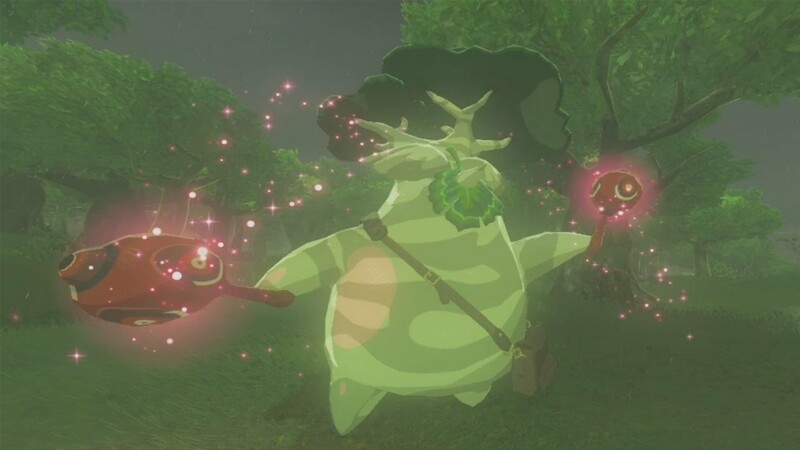 Personally, I’d love to see Hestu, the maraca wielding Korok from Breath of the Wild, cause some chaos on the battlefield. Please make it happen Nintendo! What Zelda characters do you want to see as an Assist Trophy in Super Smash Bros. Ultimate? Let us know in the comments below!